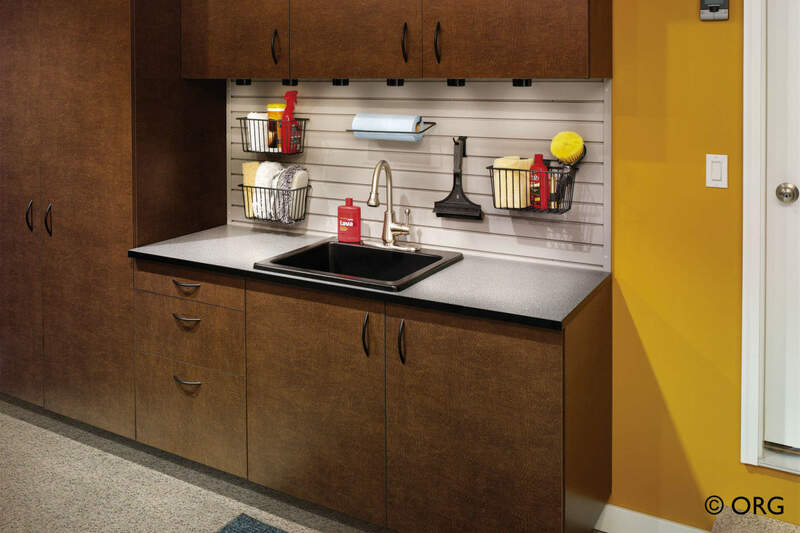 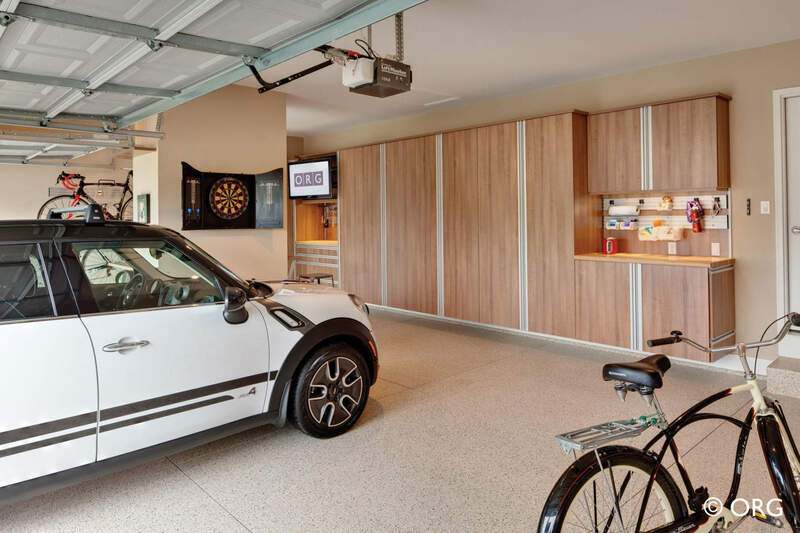 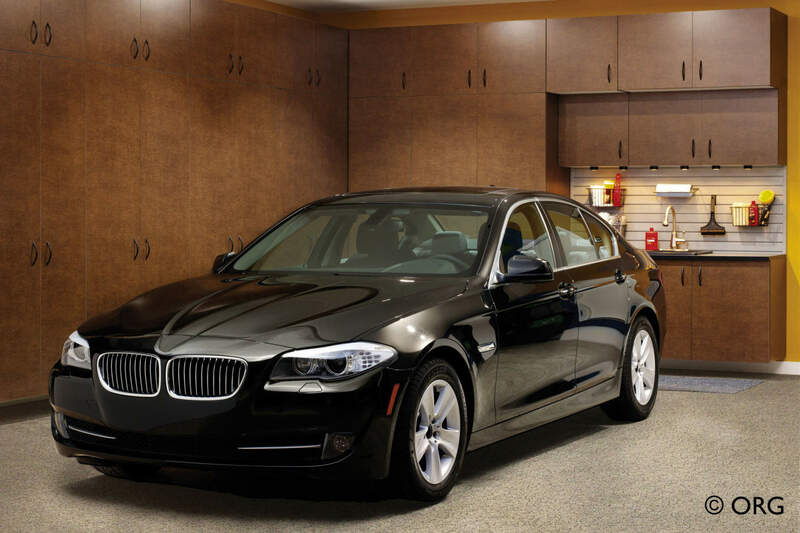 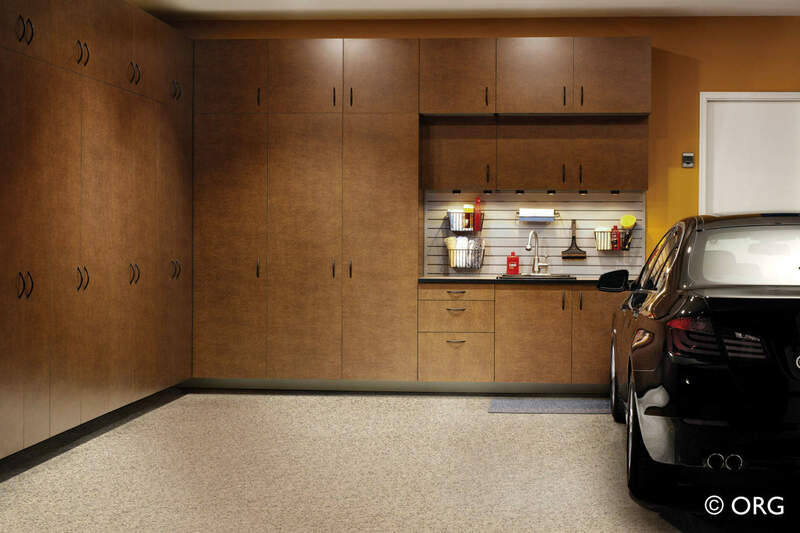 Transform your Garage with High-End Garage Storage Cabinets. 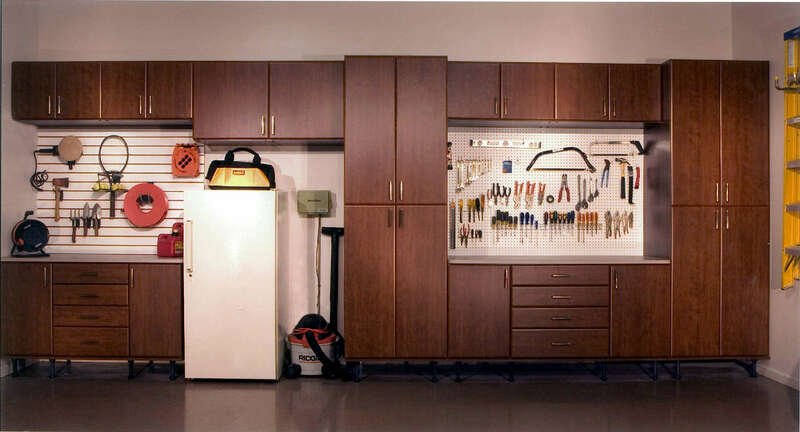 An ORG premium garage cabinet system can transform an untidy garage into an organized, efficient and enjoyable space. 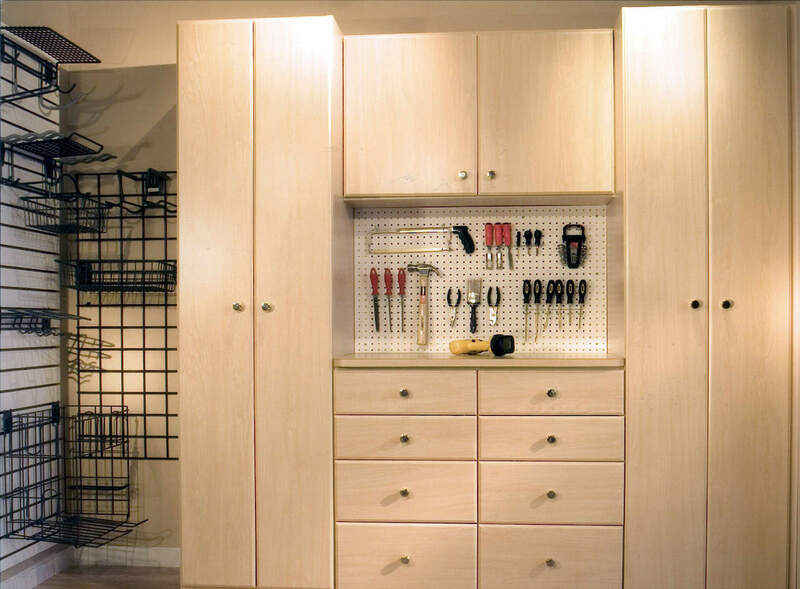 From simple cabinet storage to durable workbenches, our home organization options are sure to fit your space, style and budget. 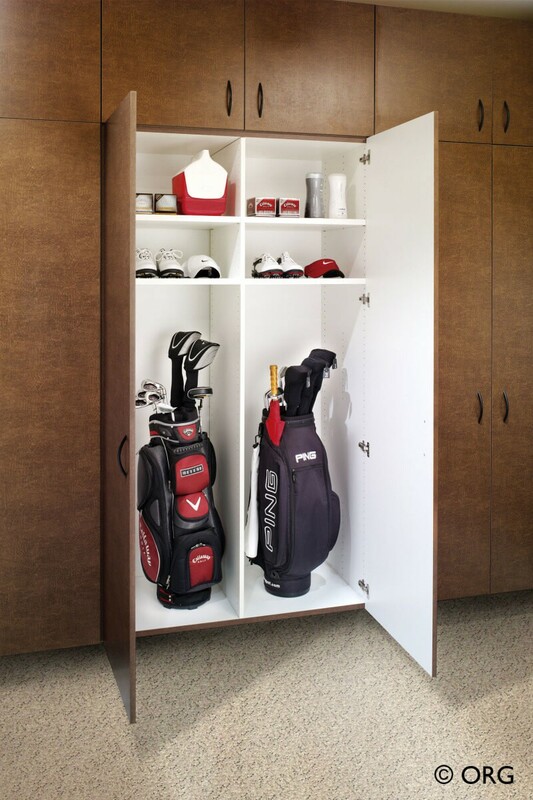 We offer custom cabinets in standard and wood grain finishes to compliment your home; movable, durable storage racks and baskets that hang on a slat wall for toy and tool storage; mudroom lockers and bench storage that makes hats, backpack and shoe storage simple; and passion centers for golfers, gardeners, gear-heads, sports enthusiasts and anyone who enjoys outdoor activities. 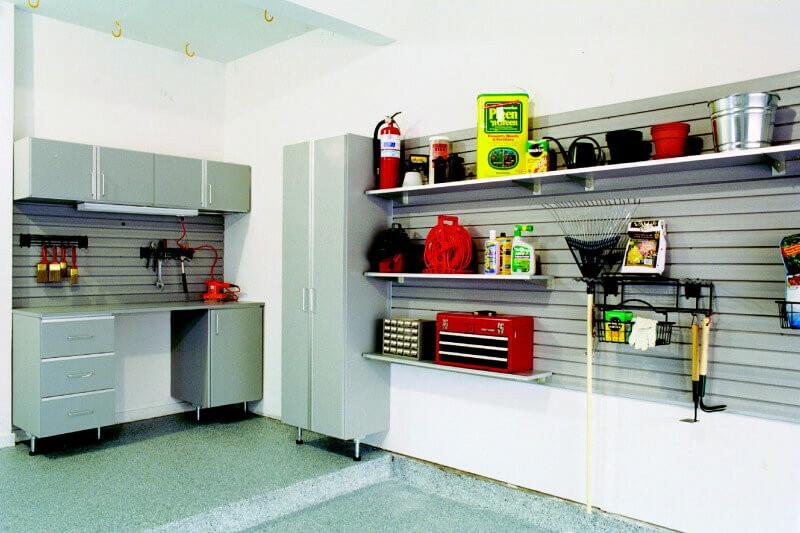 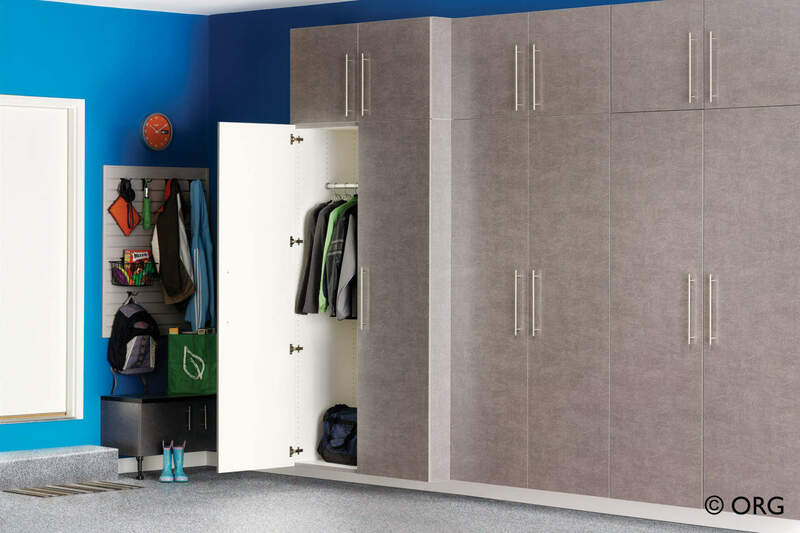 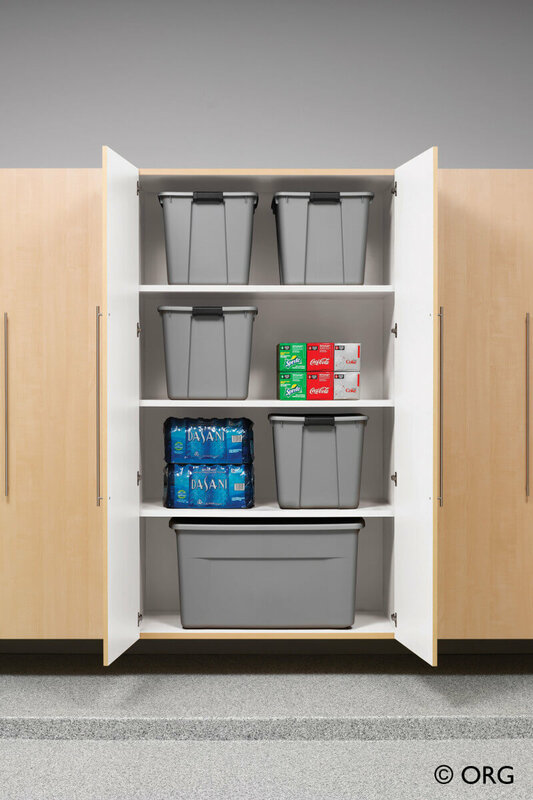 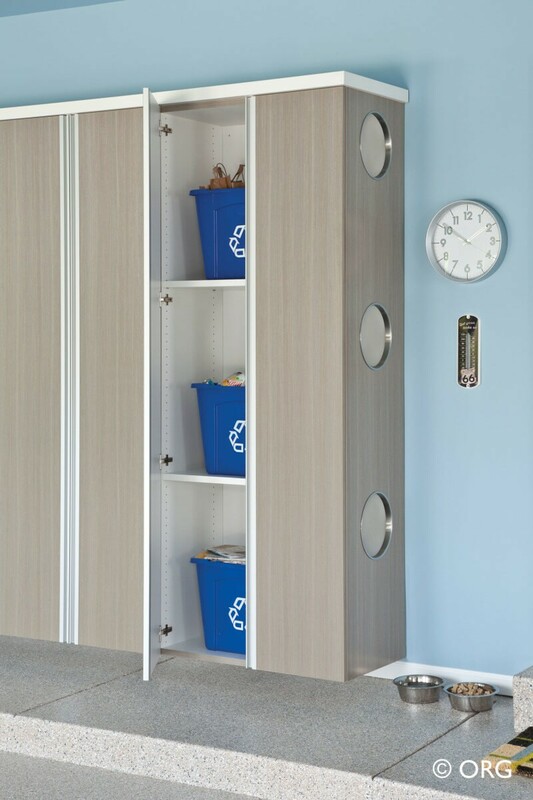 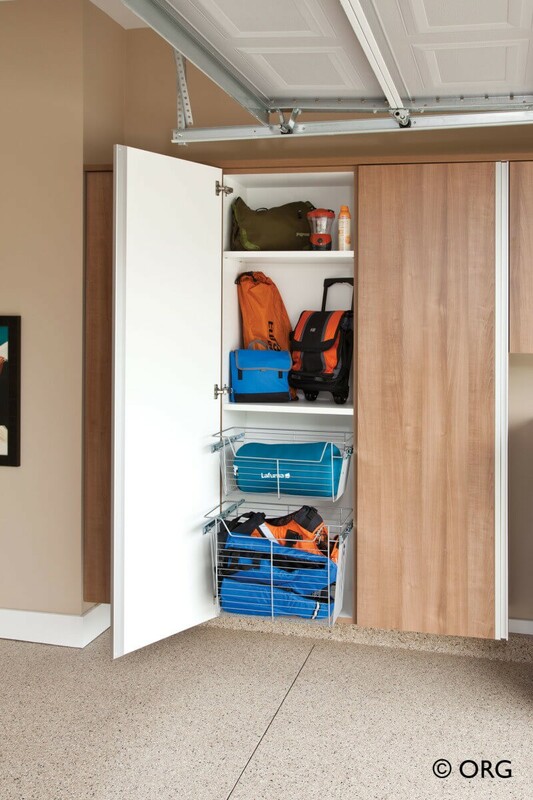 SpaceMakers carries 50 different colors for your garage storage systems. 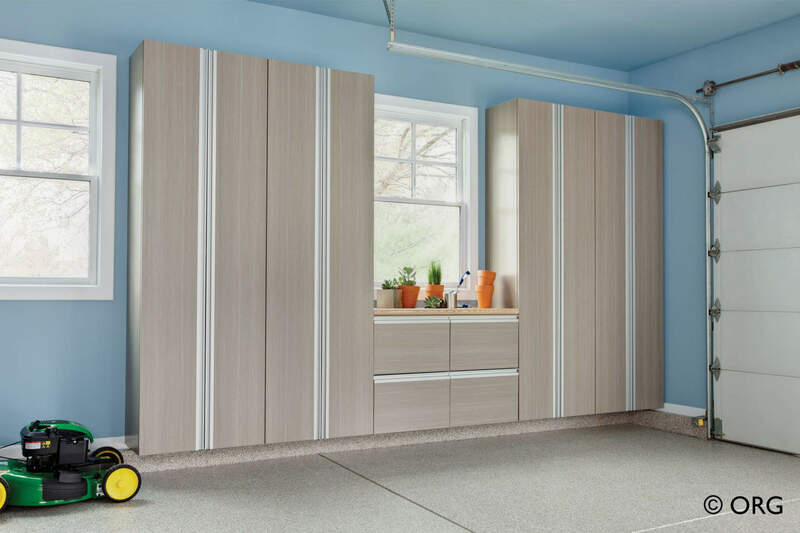 See our Colors page for the selection. 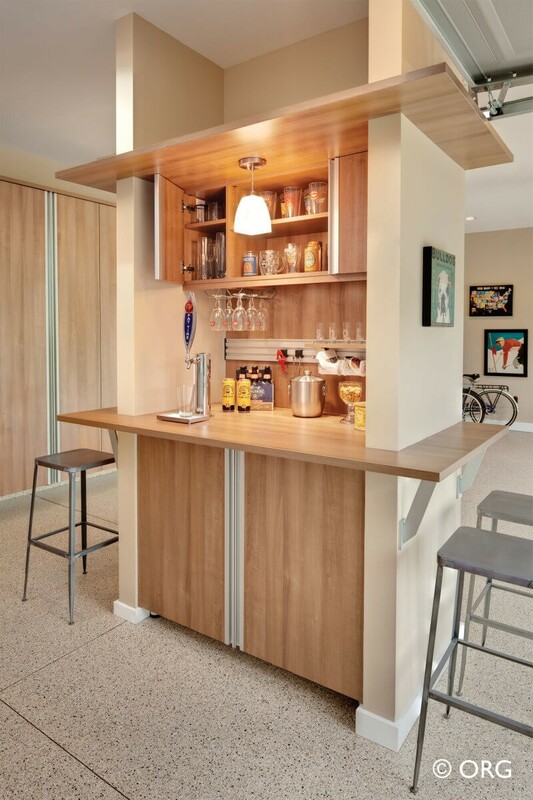 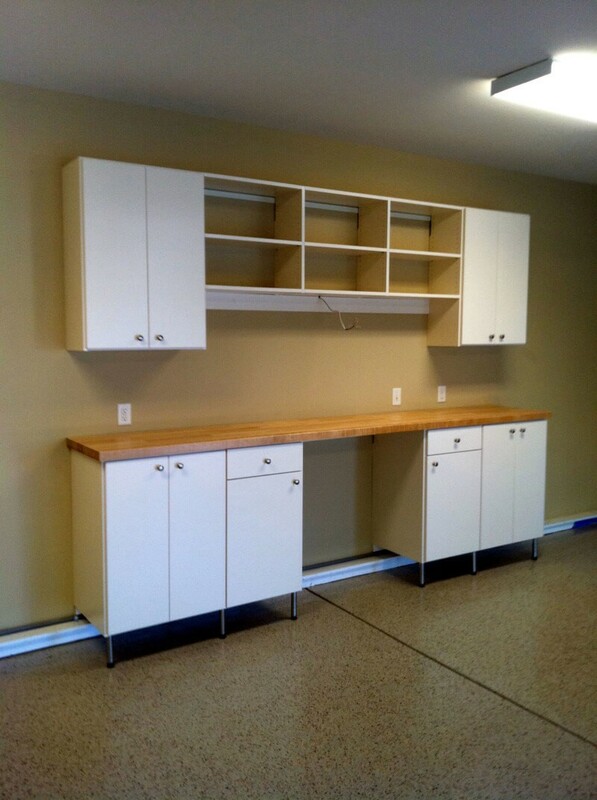 Match the existing cabinetry in your home, or go for an entirely new look in your garage. 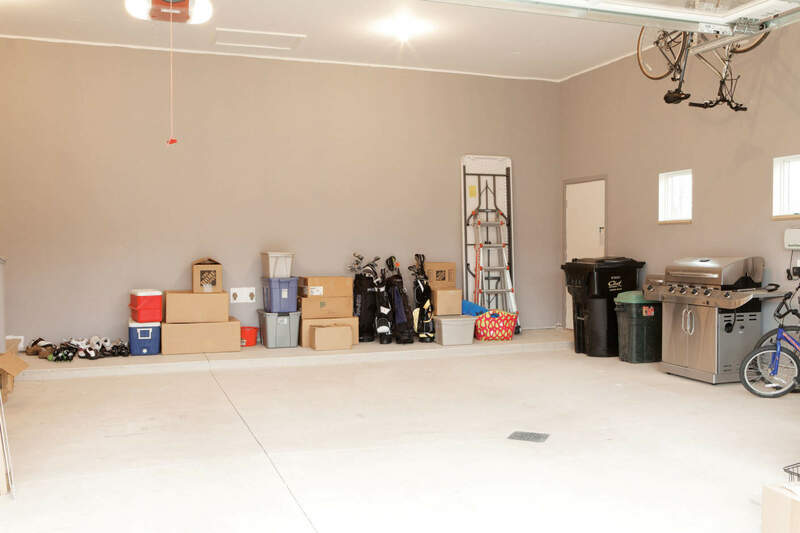 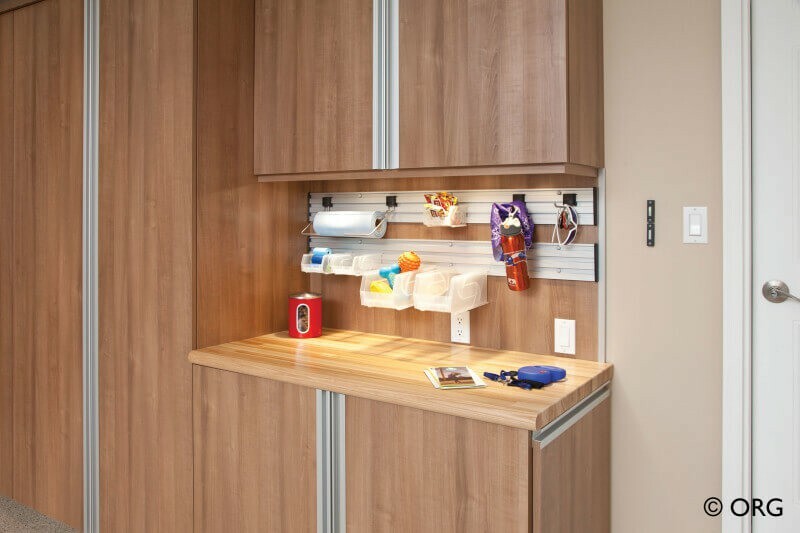 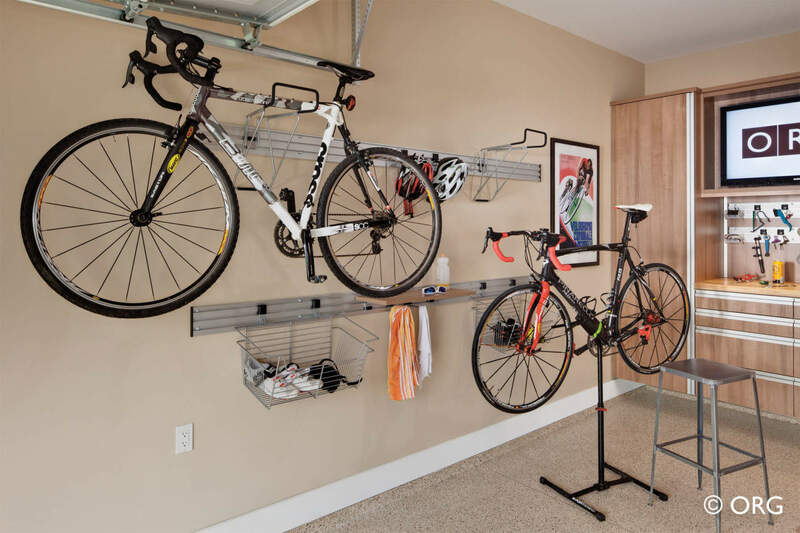 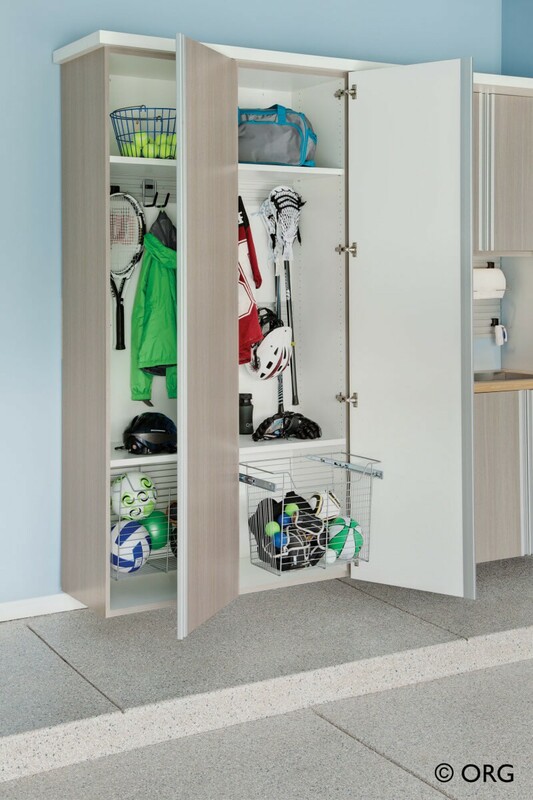 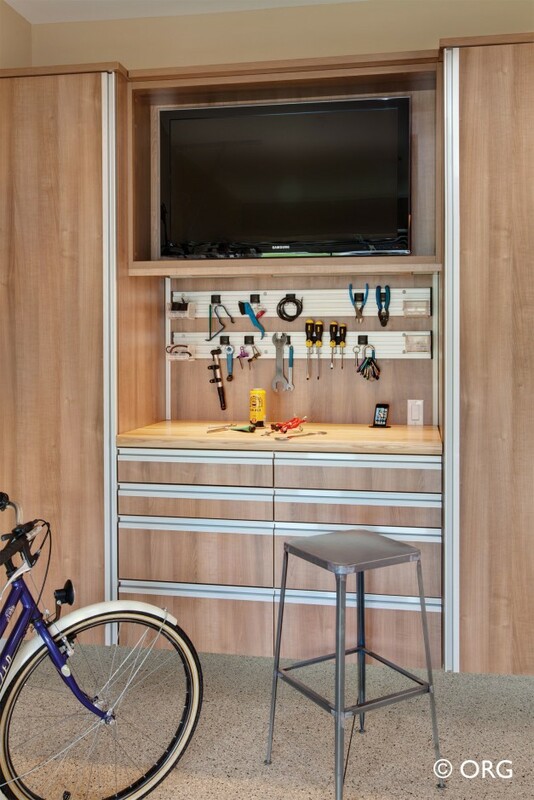 Wall accessories include storage hooks and racks that organize your yard tools, bikes, helmets, and other sporting equipment to keep them off the garage floor and within arm’s reach. 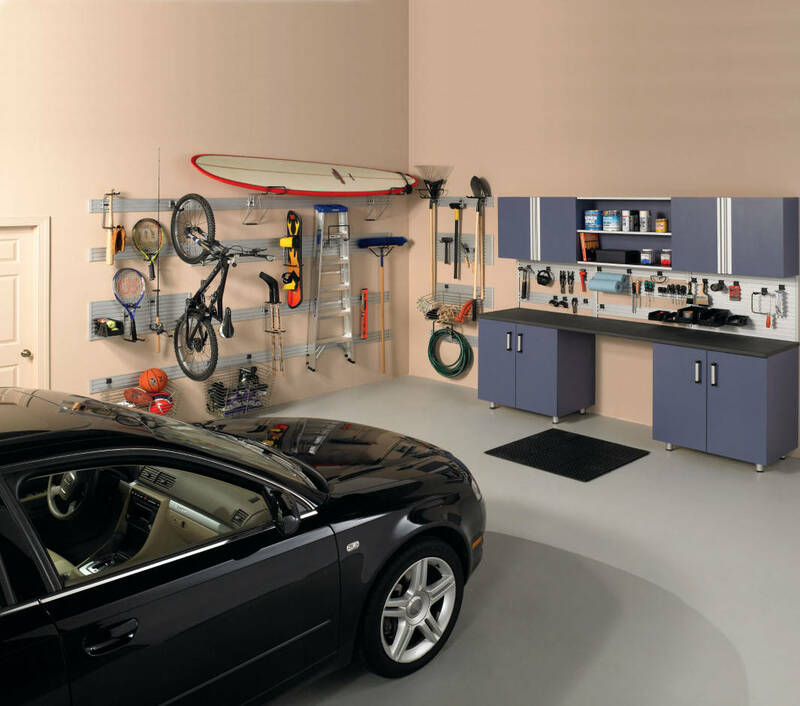  View Garage Accessories here. 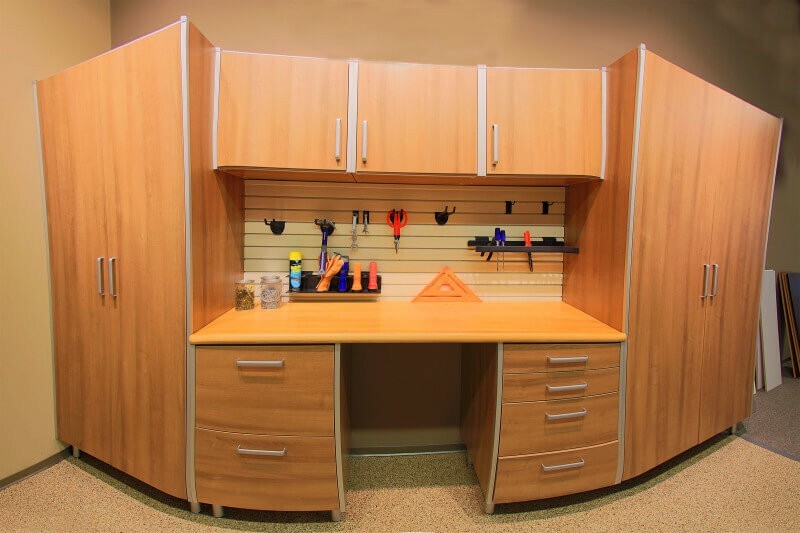 Sturdy custom cabinet and personalized workbench construction stands up to the toughest garage conditions and hobbies. 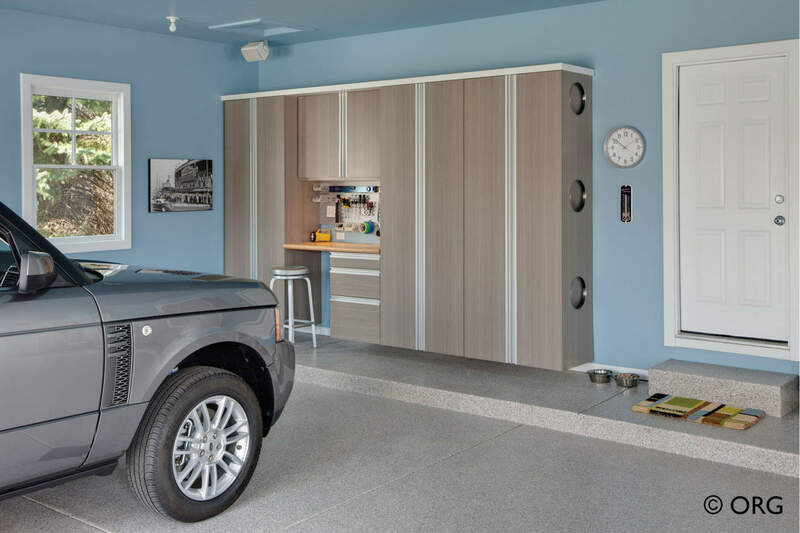 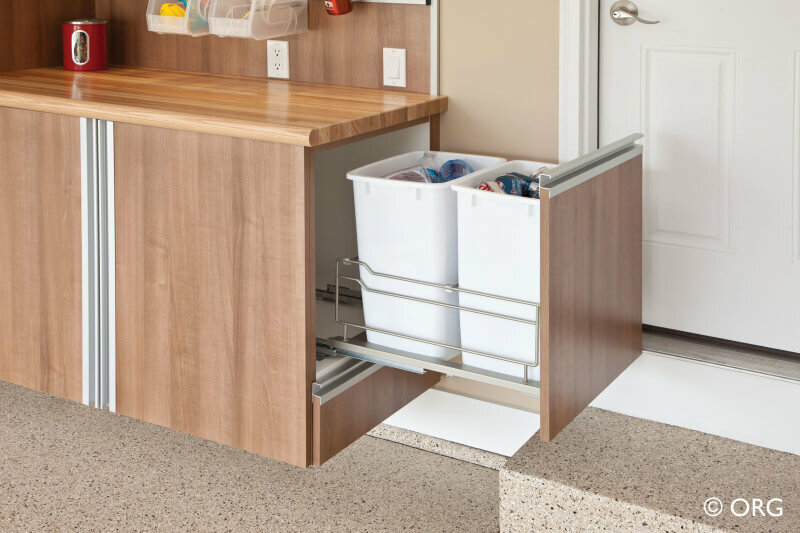 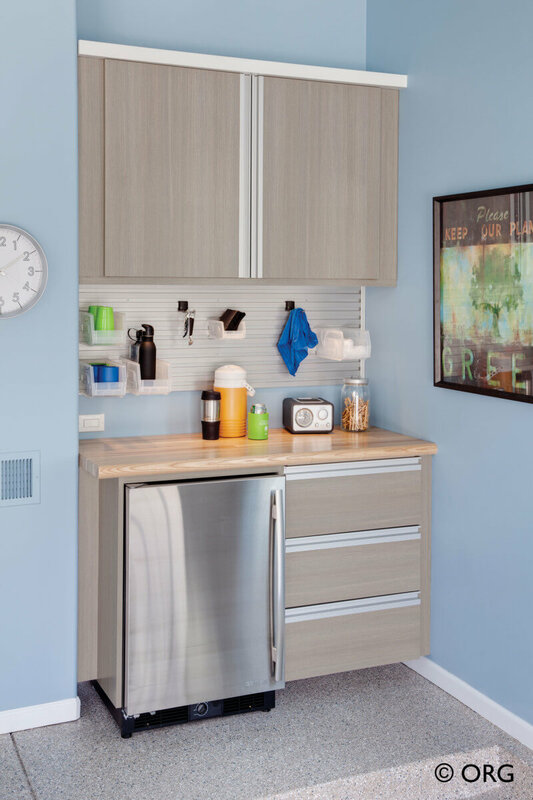 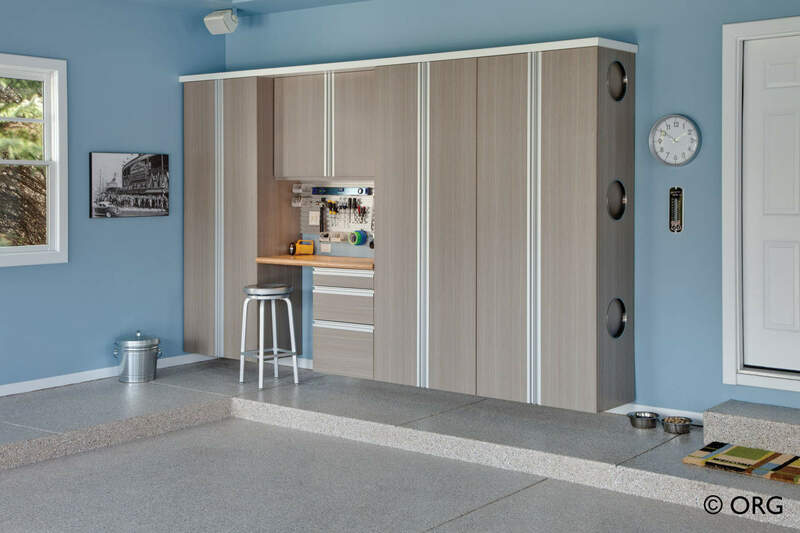 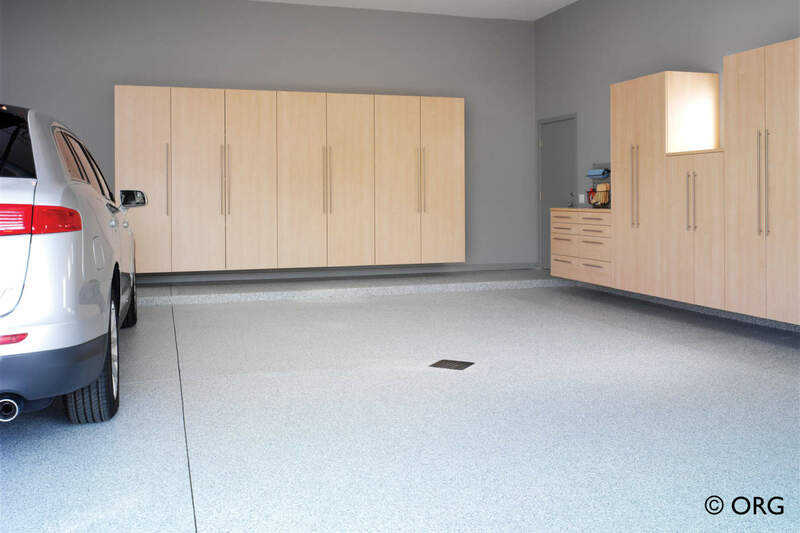 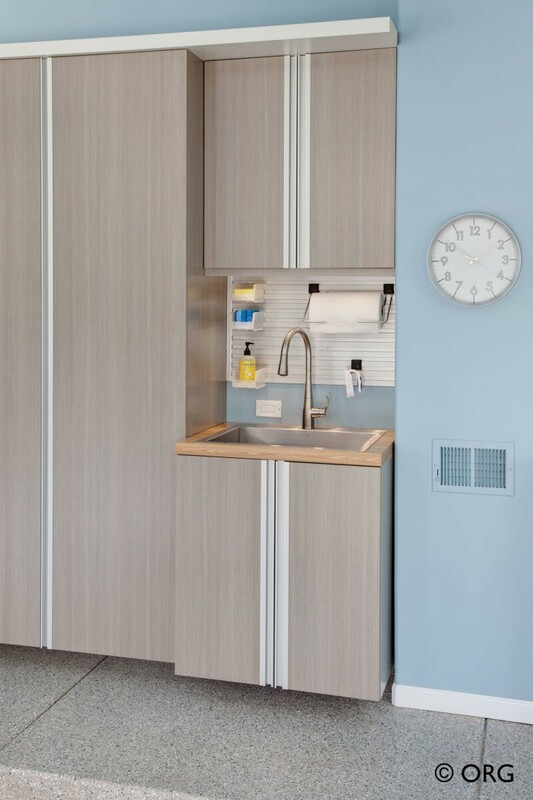 Go sleek with off-the-floor cabinet designs to keep your items elevated and protected from damp floors while maximizing every inch of garage space. 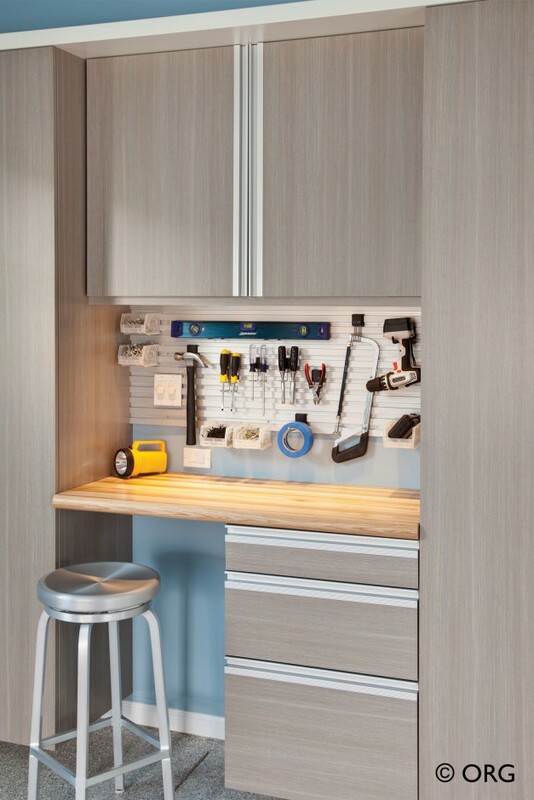 Keep small tools and hardware organized with durable drawer trays that slide smoothly for easy access. 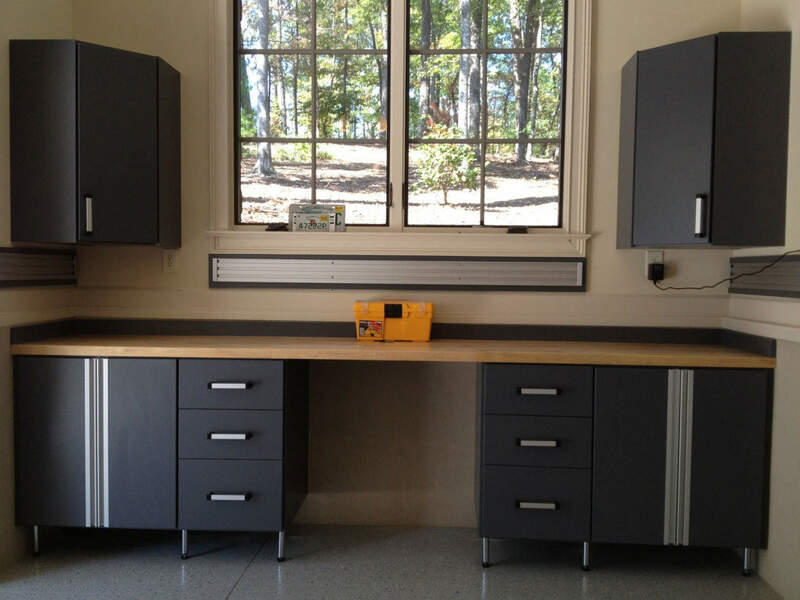 Heavy-duty and durable cabinets will withstand seasonal changes and other wear and tear. 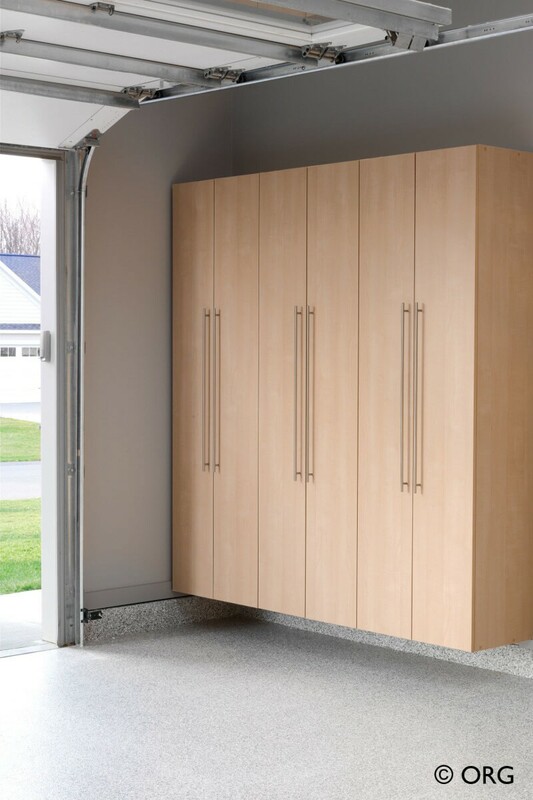 Call 770.422.6464 to speak with one of our garage storage cabinet experts or visit our showroom in Greensboro or Alpharetta today!